There are tastings that are merely excellent, and there are tastings that are memorable. This was one of the latter. It took place in the splendid galleried Mortlock Wing of the State Library of South Australia. 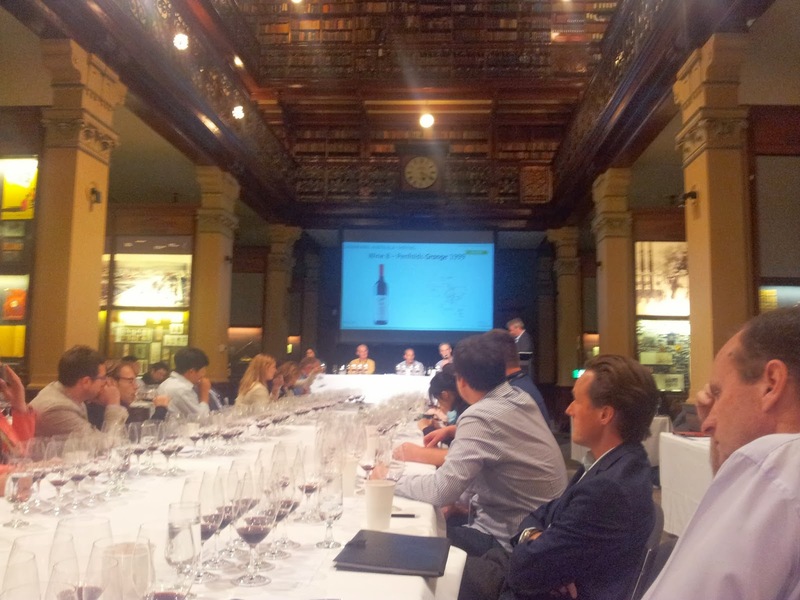 Mark Davidson of Wine Australia handled a panel which included Huon Hooke (aka ‘The Trusted Voice in Wine’) and Peter Barry of Jim Barry Wines, as well as critic Bruce Schoenfeld and sommelier Kim Bickley of Black by Ezard in Sydney. 100-strong audience down great central table. John Duval sitting at the very end (Davidson hauls him up to talk about the Grange). A huge, leisurely (three and a half hours) tasting, which is repeated the next day. Six bottles each per day of some very fine and very expensive wines. What a line-up. Every wine was a beacon of excellence – I had two cavils with the Plantagenet and the De Bortoli, which I found short in the tannins, but I was knocked back by Hooke and Davidson, who said just drink the bloody stuff. Some old favourites like the pre-eminent Jamsheed Garden Gully, and some I’d never tasted like the Craiglee and the Bests No 0. If I had to choose one to take home with me? The Hill of Grace. Or the Jasper Hill. Or the Craiglee. Frankly, if I was given any one of those bottles for dinner tonight I would count myself lucky. Wonderful leather and cedar nose with stewed pruney fruit and pencil lead. Very linear precise tannins, ripe and soft but with good grip. Cooked dark fruit. Slightly disappointing length – fall off of tannins. Lovely rich garnet, almost like Pinot in transparency. Sweet attractive jammy nose with green notes of very juicy capsicum, sugar snap pea, dissipating quickly. Full-bodied round more pepper with plum and prune. Pepper notes persist, tannins very very soft. Length a ghostly presence, though fruit goes on. Nose has notes of hay, old leather, cedar. Sweet cassis, blackberry compote.Notes of sweet tar and pencil lead. Tannins more insistent than what’s gone before – but not dominant, holding up the fruit which has jam and sweetness, some red fruit, cooked raspberry with balsamic, and a bit of salinity. Very attractive juicy finish. Loved it in May in London and love it now. Attractive notes of green pepper, mown grass, hay on nose, then ripe fruit on the briar with leaves. Lovely pot pourri and and fresh acidic palate – the whole very fresh and clean with leafy dry notes. Tannins dry then dissolving on the tongue to release juice. Lovely dusty length. Soft and in a minor key: everything there for a purpose. Blackberry and cream nose, sweet vanilla oakiness with acid heft on palate, creamy sweet palate with spicy clove tannins with grip and density. Soft plum fruit, blueberry and dark stone fruit. Lovely powerful licorice and violet nose, old-style perfume. Fresh open palate with plums, damson, bright dark fruit with no hint of red, sour dry tannins with juicy finish. Excellent, long, drinking well now but will last for ever. Tar and piney resin on the nose with eucalyptus. Medium huge palate with fresh acidity and dry tannins. Ripe black porty fruit, sweet but dense and leathery, elegant even delicate length, mouthwatering dissolving tannins. Amazing. Length goes on for minutes. Cold winters and long hot summers. Sunbury is a GI but tiny. Handharvested handmade. Included in Langtons. Gorgeous perfumed nose with lovely peppery, leathery spice. Deep red fruit – old cooked strawberry, almost fermented summer berries – some age on this nose – secondary fruit coming over. Highly acidic, almost sour palate with powerful dense fruit on the red spectrum. Not hugely long but very pretty. Nose a bit tight and giving little. Rich perfumed palate with mint and candied licorice. Lots of bright lifted red cherry fruit and sweet integrated tannins. Very fine, very fine unassertive juicy length. Like the Craiglee seems aged beyond its years – settled, delicious, but settling into a harmonious and long journey into old age. Made by Trevor Mast who died last year. Wonderfully expressive nose, savoury and smoky. Bright, secondary flavours on the palate, sour dark cherry. Shows great maturity – seems a good 10 years older. Smoky savoury leathery nose, great gouts of powerful smoky spice on the palate with plums preserved in aromatic spices – cinnnamon and clove – very ripe textured tannins, dense sweet tart tannins with tremedous juice and power. Very fine, powerful length. Will get better and better over the next 15 years. Will reach peak in 3-5 years. Lovely rotted bretty nose – rain-soaked forest floor, mushrooms – delicious aromas, really powerful. Great heft of tactile spice on the palate, with blackberry compote and black pepper. Set off by soft, precise tannins, fine grained and elegant. Sweet candied lemon perfume on the nose. Hint of slightly unctuous spice on the palate. Blackberry fruit, very open aspirated palate – a refreshing mintiness. Seems more delicate and precise than the previous one. Lovely juicy tannins. Bramble greenness on the nose with mint and blackberry, exotic spices, a cedar box with compacted candied sweets. Very fresh very elegant palate, with saltiness and such perfumed acidity and fresh ripe tannins.Primary fruit characters, lovely dry fine tannins moving into juicy length. Lingering dust and pot pourri at finish. Tarry nose with plum and blackberry notes. Strong spicy tannins on the palate, dry tannins getting juicy as they develop in the mouth – not exploding (as they will in time) but dissolving to juice. Fruit submerged at the moment - all arms and legs as John says –but when it comes up it will be dark and sweet – a dark and sweet core with raspberry and strawberry touching the edges. The Historic Vineyard Society of Sonoma: Do old vines make better wine? How many times have I asked this question, and how many different answers have I had? Sometimes a winemaker will look at you askance, as if you've voiced a heresy, but usually they treat the question seriously. 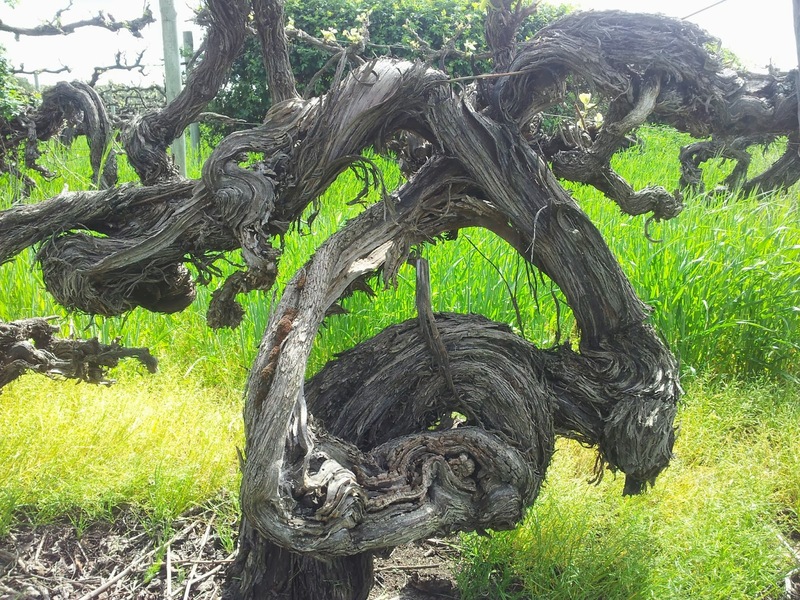 Winemakers prize old vines for reasons that seem obvious but, on closer examination, are more complicated. 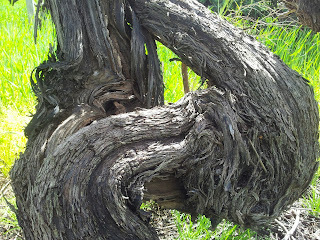 It is assumed, for example, that the older the vine, the better the wine. The root system on a 100-year-old vine, depending on the type of soil, can be extraordinarily deep, in loose soils, gravel or loam, they can go up to five metres or more. The vine tends to produce far fewer bunches with smaller, concentrated grapes dense with flavour. 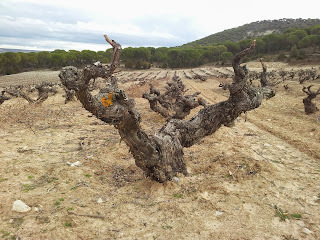 So it would seem to be a given that old vines make better wine. 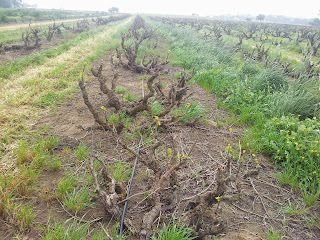 But is that simply a question of yield, and if so, wouldn’t a 30-year-old vine, properly stressed and sparingly irrigated, produce grapes of equal intensity? 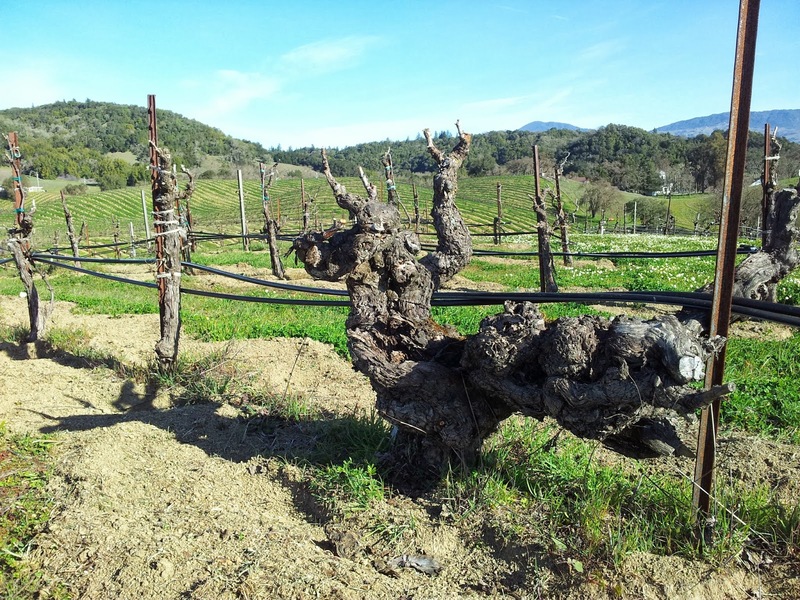 Some, like Walter Schug, who founded Sonoma’s Schug Winery in 1980, are in two minds. It’s in the New World that the oldest vines in the world can be found, and in Somoma, where vineyards date back to the 1880s, a group of wine professionals and keen amateurs formed the Historic Vineyard Society, an organisation dedicated to preserving not only Sonoma’s old plantings but old vines across California. The Society’s mission statement is simple: to ‘compile a comprehensive, fact-based and consistent directory of California’s Heritage Vineyards’. 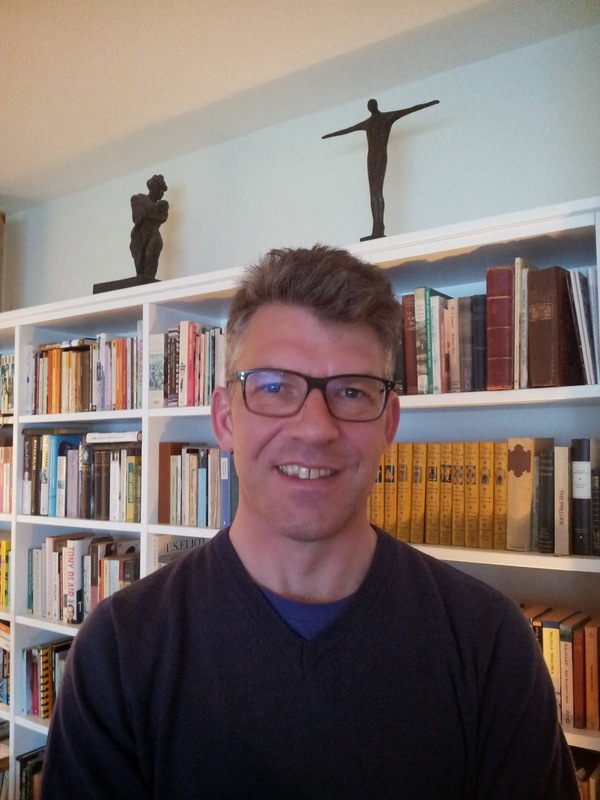 Jancis Robinson is on the board, as is David Gates, head of viticulture at Ridge. The society has some 200 members to date. ‘They are trickling in slowly but surely,’ Gates says. 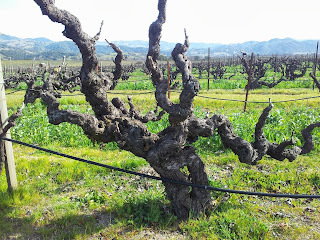 The oldest are concentrated in Alexander Valley, Dry Creek and Russian River Valley. The Society lists 26 vineyards in Napa, 12 in Lodi and a handful in Paso Robles. The vineyard’s page on the HVS website is a distillation of old Sonoma. The varietal composition of this 6.1ha (40 acre) parcel is 71% Zinfandel, 10% Grenache, 7% Alicante Bouchet, 2.5% Petite Sirah and Peloursin, 1.3% Grand Noir, 1.2% Tannat, 1% Mourvedre. Then, the HVS goes on, there are ‘1% various table grapes, 5 % Carignan, Syrah, Trousseau, French Columbard, Cinsaut, Charbono, Lenoir, Palomino, Chasselas, Tempranillo, Petite Bouchet, Muscat and various unknowns’. Similarly, the big wineries have little interest in their growers protecting their old plots as they are mostly interested in volume. There is a resolution at present working its way through the California state legislature , but Gates says he prefers the ‘carrot not the stick’ approach: some sort of tax break, for example, but he admits that would be very complicated. What the HVS tries to do is stress the viability of old vineyards. To qualify for HVS membership, a vineyard must be ‘currently producing’. Dildine clarified this: ‘Ultimately, vineyards can only be preserved if they are valued in the marketplace’. These are not museum pieces: the 200-plus listed vineyards on the registry provide grapes for some of America’s most famous wines. Or Pagani Ranch, whose 100-year-old Zinfandel goes into Seghesio’s rich wines, or the ancient Alegria Vineyard, mainly Zinfandel but with a rainbow of other varieties – Alicante Bouschet, Negrette, Trousseau Noir, Petit Bouschet, Carignane, Petit Syrah. 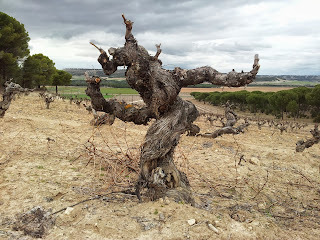 Old vineyards, then, are the business of the HVS, and its members’ definitive answer to the question of whether old vines make better wine can be summed up as: you don’t need old grapes to make great wine, but they can add depth, complexity and site-specifity. There are many reasons, the HVS says, why this happens. Old vines are more resistant, less influenced by weather and fluctuations in temperature, their roots are deeper, their ability to absorb nutrients better. The grapes they produce tend to be more balanced and lower in alcohol. Mike Officer, who makes wine from 90-year-old vines at Carlisle Vineyard, has studied the question. I meet David Gates on a perfect Sunday morning in February, at Ridge’s Lytton Springs vineyards in northern Sonoma. The vines up here are some of the oldest in California, with a bewildering mix of varietals: Zinfandel, Carignane, Alicante Bouschet, Tinturier Grand Noir, Mataro, Grenache, Syrah, Petite Sirah and some scattered white varieties, Picpoul, Burger, Palomino. About 5% of that particular block went into Ridge’s Lytton Springs 2011. ‘It’ll make it into the 2012 as well,’ Gates says. In the cellars at Lytton Springs we taste the 2012s in barrel, some ‘mixed blacks’ from old vines, then the Lytton Springs Zinfandel blend, a Petite Sirah, and Carignane planted in the 1940s, all in American oak. We contrast it with Zinfandel from a block they call the east bench, planted in 2000 and 2001. 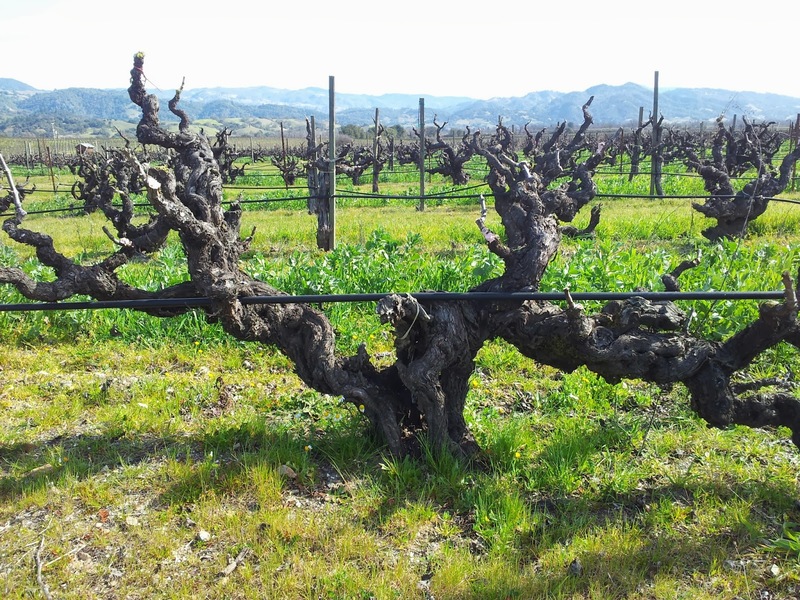 In another comparison, we taste Zinfandel from the Ponzo vineyard in the Russian River Valley – one barrel from a block planted in 1952, and another from ten-year-old vines. In general, the old vines show bright dark fruit and sweet, dense, very present, lush and juicy tannins with no dryness at all. When it comes to the younger vines, the fruit is brighter and sweeter but there’s a marked contrast in the tannins, which are dryer, firmer, and chalkier than the tannins from their older cousins. I would not say either wine is superior.